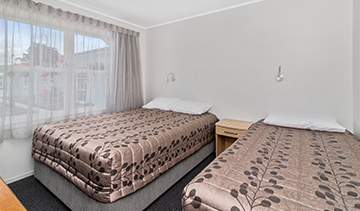 Our spacious studio units offer a generous open plan living area with one queen and one single bed as well as kitchen facilities in a separate area. 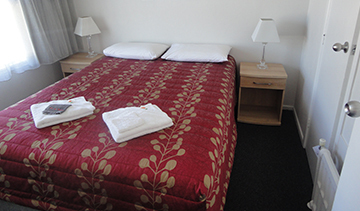 Our roomy one bedroom units include a master bedroom with one double and one single bed and choice of one or two single beds in the lounge. 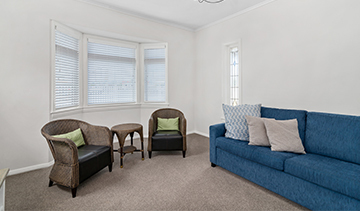 This fully renovated Cottage offers 3 bedrooms, an open plan lounge, dining & kitchen and sleeps 7 to 8 guests in 4 star comfort. 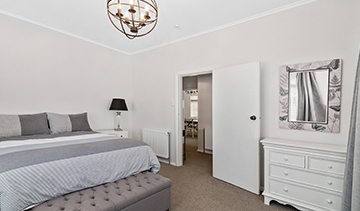 Very popular with families or groups of 6 to 8 persons this cosy apartment has 1 queen bed & 1 single bed in the master bedroom and..
Get yourself into hot water in our two on site indoor hot water mineral pools! 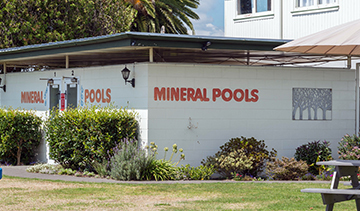 The healing properties of Rotorua’s geo-thermal mineral waters are long recognised and renowned for their therapeutic properties. We love hearing from our guests how their niggles and aches have eased during their stay with us. Rotorua’s healing mineral waters are truly restorative and incredibly relaxing. We encourage our guests to take the opportunity to soak their aches and pains away in our pools without having to leave the lodge. We welcome pets to holiday with us! 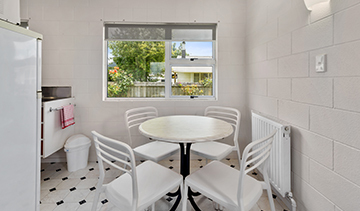 We are pleased to now offer a limited number of units available for guests with pets. Bookings for these units can only be made over the phone so that we may establish the breed of dog and ensure you are aware of our house rules. Please contact us directly to make arrangements. For animal lovers, we have one ginger cat, Happy, who loves food more than anything else. Stroke him at your own risk. We believe he was badly teased in the past and now he is a follower of the military tactician who said “attack is the best form of defence”. When you try and stroke him, Happy thinks you’re going to hurt him so he swats you first. Give him food and he’ll follow you around. 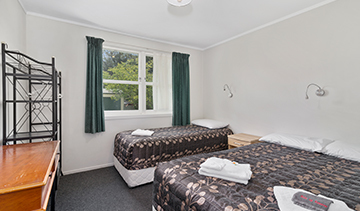 "Since taking over management of the Cleveland in 2011 and more recently ownership in 2015, we have worked hard to exceed our guests’ expectations and deliver a truly Kiwi experience. 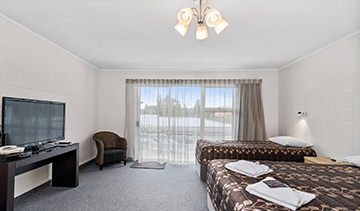 We are very proud and extremely grateful for the guest experiences that have earned the Cleveland highly coveted and award winning recognition - that resulted in the Cleveland rising to the top 20 for the best places to stay in Rotorua! We look forward to showcasing The Cleveland and everything that Rotorua has to offer and we'll continue to do it with world famous Kiwi hospitality that makes every Kiwi proud." Proximity to conveniences, gas station, wine store, mini mart, etc, etc? Sky – 45 channels, including all Sky Sports channels. Warm and friendly, world famous Kiwi hospitality!